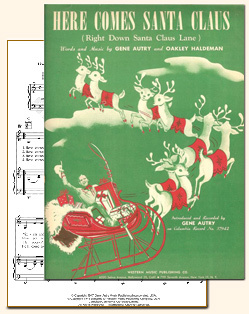 Gene Autry's association with Christmas began in 1947 with his classic Christmas song Here Comes Santa Claus (Right Down anta Claus Lane). 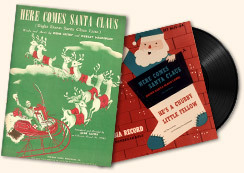 Inspired by the Hollywood Santa Claus Lane Parade, the song became a million seller for Gene and his recording remains popular today. 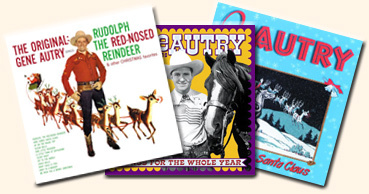 You'll find information, photos, and Gene singing Here Comes Santa Claus in this special section. 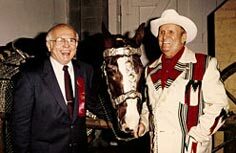 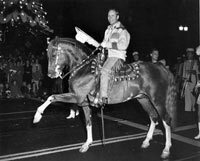 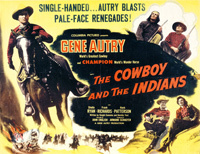 For more on Gene Autry and Christmas, visit Gene's Cowboy Christmas section here.